The world lived in utter darkness since time immemorial and perhaps would have continued to do so for many more years till on this day, the 21st October, Thomas Alva Edison invented the first incandescent light bulb in 1879. Although, he was neither the first nor the only person trying to invent an incandescent light bulb, as there have been others trying to do what Edison did and took the lead. The very bulb today lightens up our dark nights and one doesn’t feel whether it is day or night. An incandescent lamp is glass tube in which a filament is heated to incandescence by an electric current. Today’s incandescent light bulbs use filaments made of tungsten rather than carbon of the 1880’s. 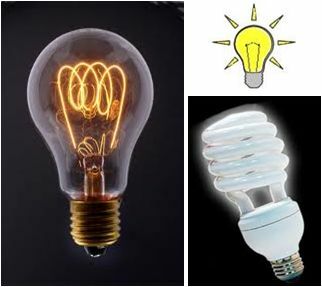 To these bulbs, now another revolutionary invention of energy saver bulbs has been added, which produce more energy and light with lesser electrical input as compared to an ordinary an incandescent bulb. I could go on and on but it would better to read the following link on the man who brought light to the world on this day October.